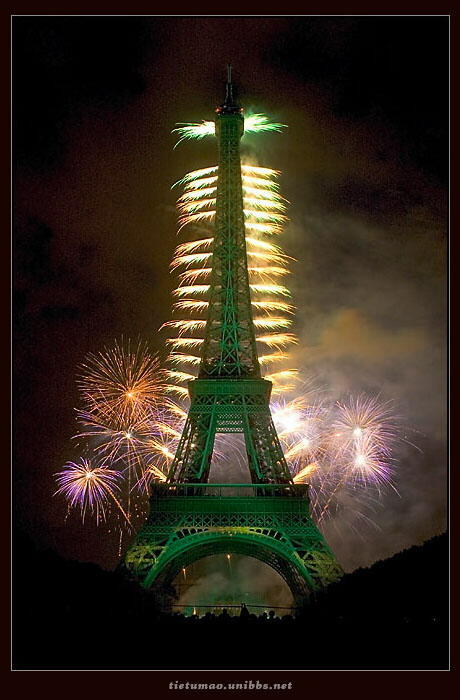 Eiffel Tower is theFrench landmark in Paris. 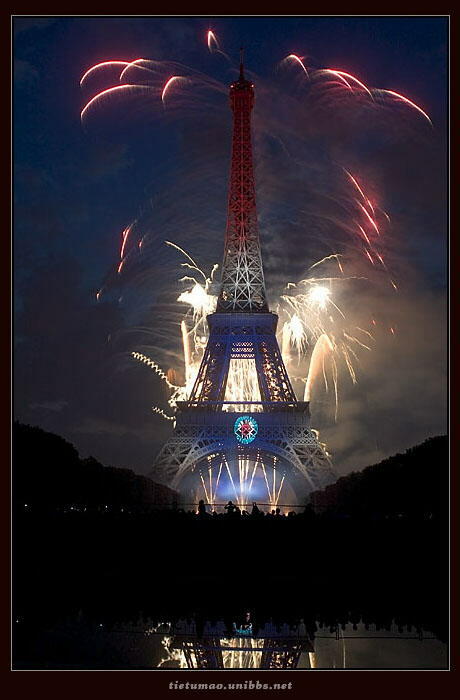 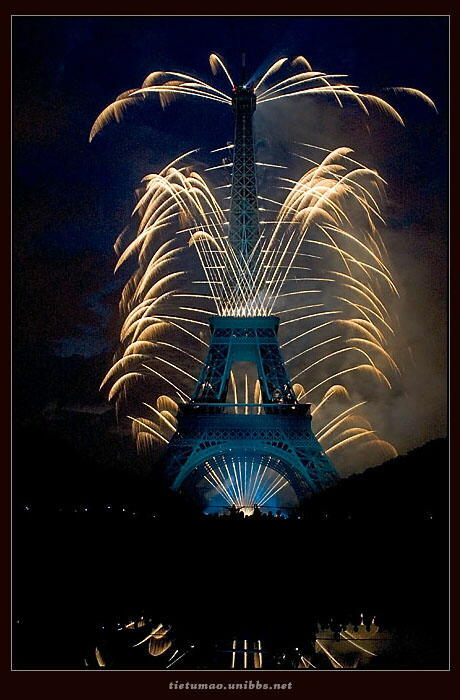 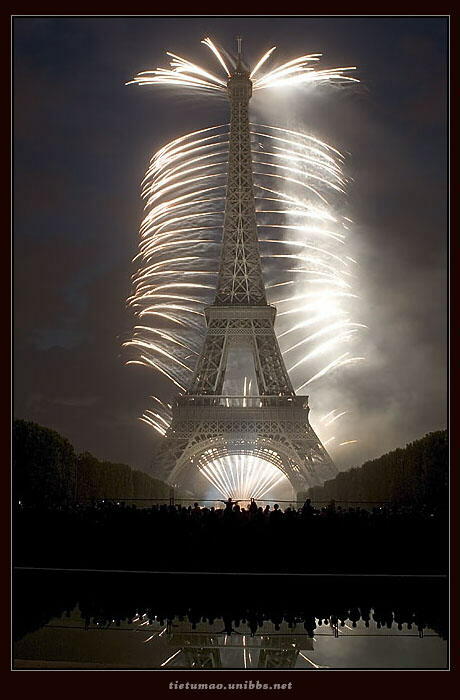 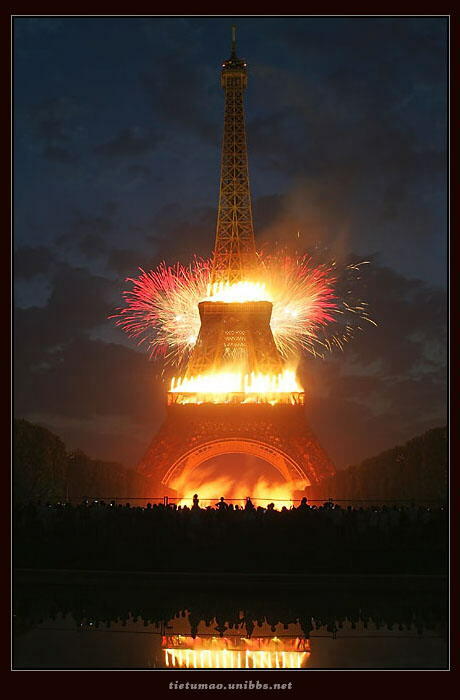 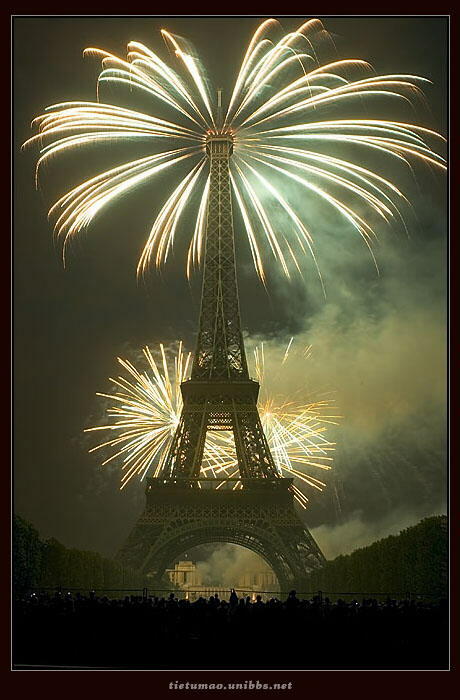 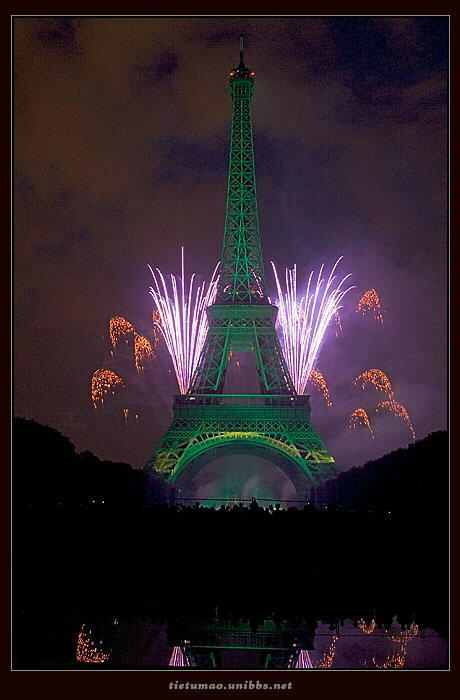 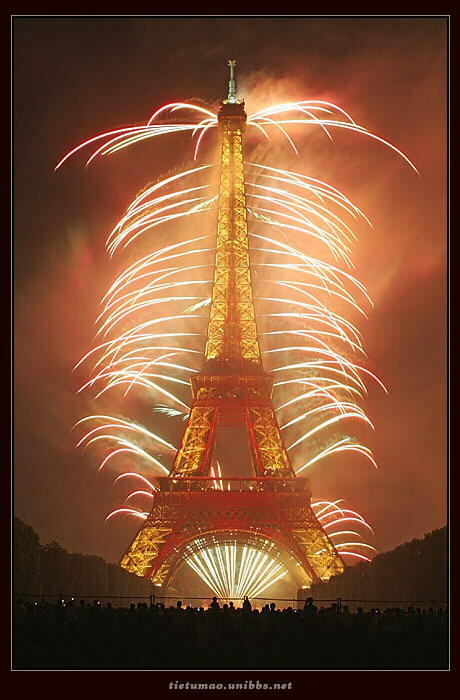 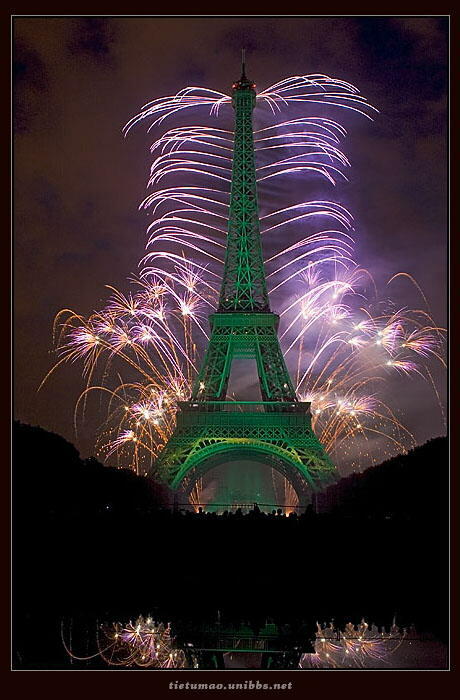 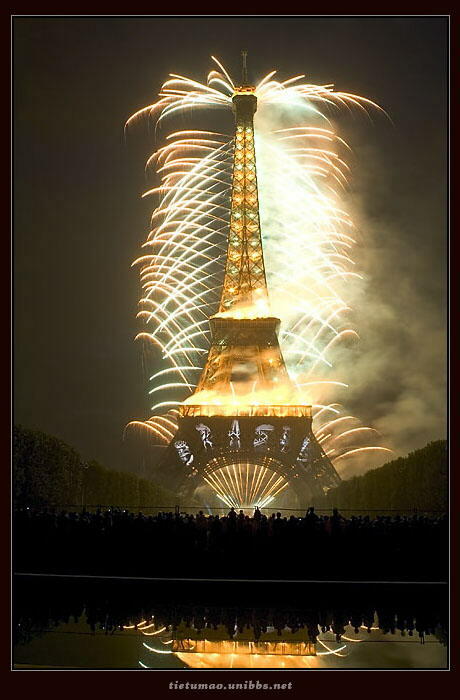 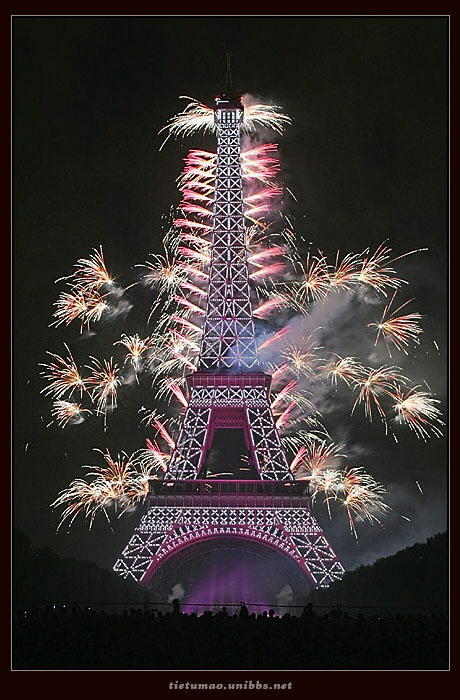 On the occasion of Bastille Day (French National Holiday July 14) computer controlled fireworks were ignited on the Tower in sequence. 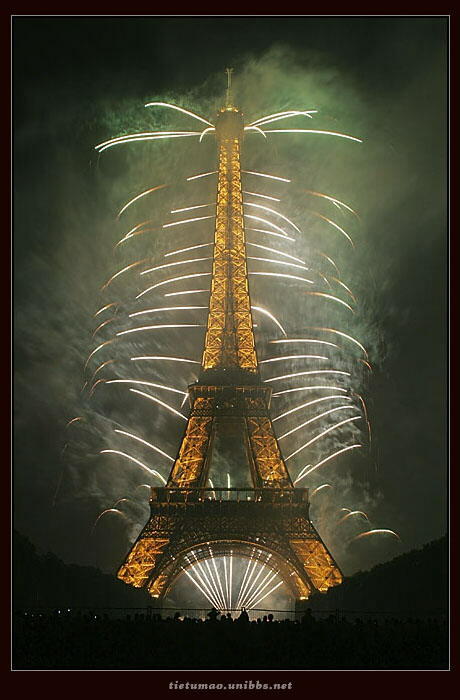 These photographs, taken by one of France's finest photographers and carried by the French Newspaper, Le Monde, are breathtaking.